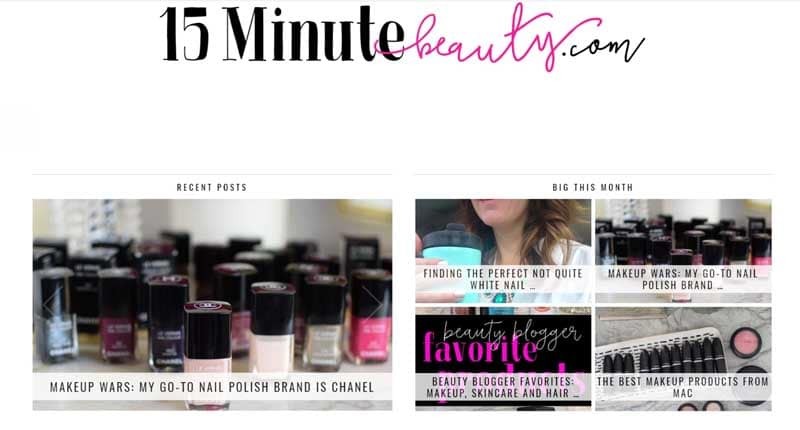 Interested in getting a quick list of the world’s most influential beauty blogs? Well, we came up with just the perfect list for you. Read on for our top beauty blogs of 2017. We get a lot of questions from our users—and one of the most common is—how can you use Ninja Outreach to find influencers? We are an influencer prospecting and outreach tool, after all. 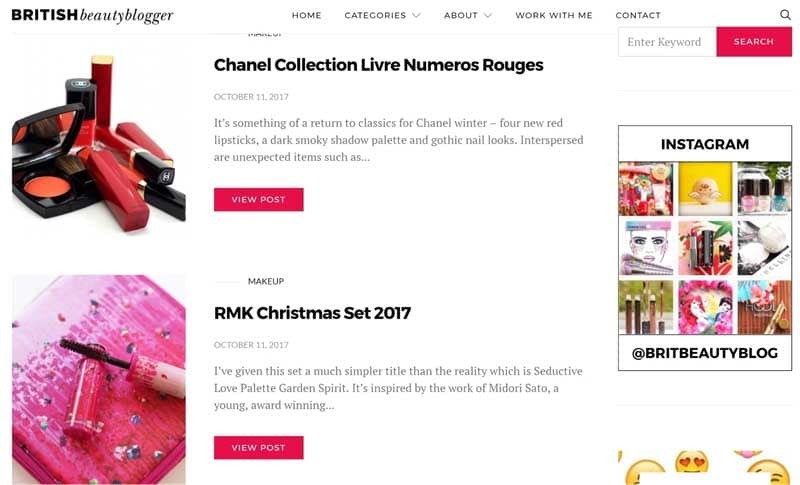 So for this article, I used our tool to prospect for influencers in a burgeoning and glamorous niche—the beauty blogging industry. Take note that not every search is the same—results vary according to the keywords you use, just as your keywords vary according to your purpose. You might be a beauty product company looking for beauty influencers to help promote your product, or you may be a beauty journalist looking for renowned beauty experts to interview for an article. In my case, I’m interested in compiling a list of the most influential blogs and bloggers. And I want to start by running a search for the highest-earning beauty bloggers and then manually following the golden cookie crumbs trail from there. So back to our tool, I clicked Content Prospecting and typed my keywords into the search bar. Hitting enter should produce the trending articles on this subject. Here is a screenshot of results for keyword set A. Here is a screenshot of the results from keyword set B.
I continued playing around with keywords and manually whittled down the results until I felt pretty confident I had enough material I could use for this article. Once I’ve finalized my list, I used our Ninja Outreach chrome extension to check each beauty blog’s SEO stats and follower count. Also, note that this list will focus on blogger influencers and will not be including established experts in the industry such as heavyweights Pat McGrath, Lisa Eldridge, Caroline Hirons, etc., as they are in a different league of their own. 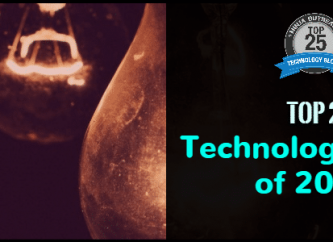 So, here are the top 30 blogs for 2017 that I found, divided into two categories. With over 20 million Instagram followers and almost 2 million Youtube subscribers, Dubai-based Huda Kattan tops our beauty influencer list. She dominated the beauty scene in the Middle East early and eventually climbed the ranks to become one of the wealthiest beauty influencers of Instagram. From product reviews to makeup tutorials to beauty blog stardom, Huda has gone a long way from her childhood fascination with makeup. According to PopSugar, Huda is able to earn around $18k per post. She has since launched her own beauty product line, Huda Beauty, which is doing quite well. 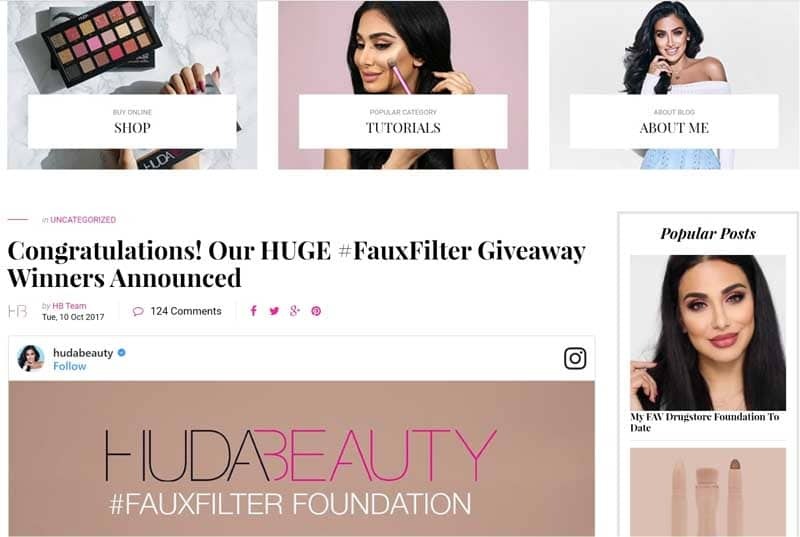 In fact, Allure magazine referred to Huda as the woman who “sold” Sephora on false eyelashes when the cosmetics chain agreed to sell her false eyelash line—Huda Beauty’s first product. 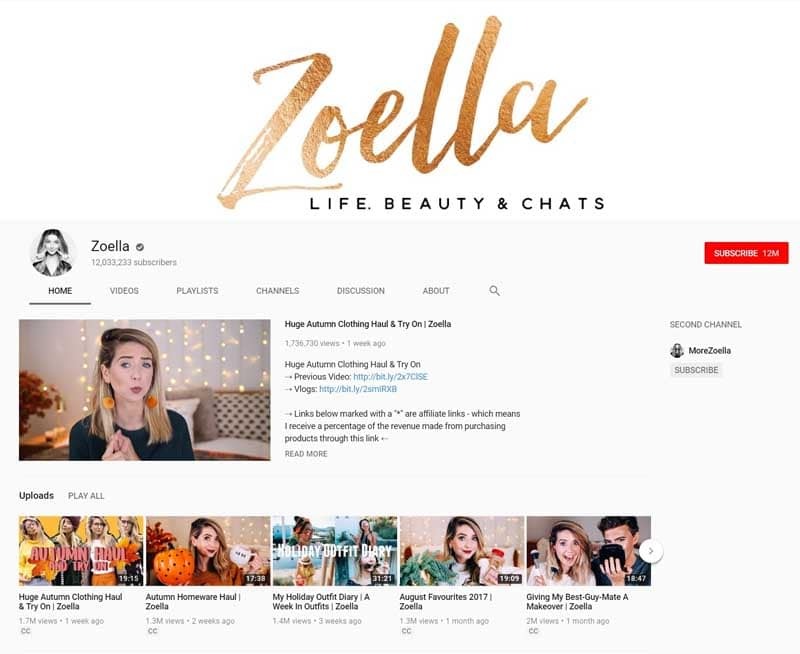 From beauty influencer to celebrity businesswoman, Zoe Sugg—better known by her online moniker, Zoella, is living the Youtube millionaire dream. 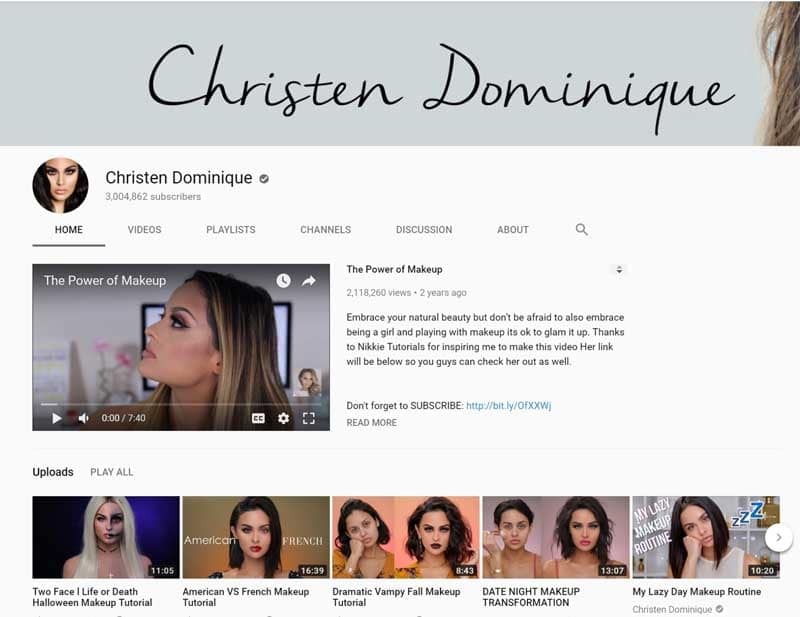 The English vlogger started her channel by filming makeup tutorials, reviewing beauty products, talking about beauty, and even injecting some personal commentary into her content. Her wholesome, Disney teen star like appeal resonated with her audience, and barely four years since she began posting online, Zoe is already netting close to $400k annually. She has since engaged in other projects, one of which was producing her first (ghostwritten) novel, Girl Online. The book instantly became a New York Times bestseller, breaking the record for fastest-selling, first-week book sales from a debut novelist. An enthusiast-turned-professional makeup artist, Nikkie de Jager was ranked by Forbes magazine as one of the highest-earning beauty influencers of the year. 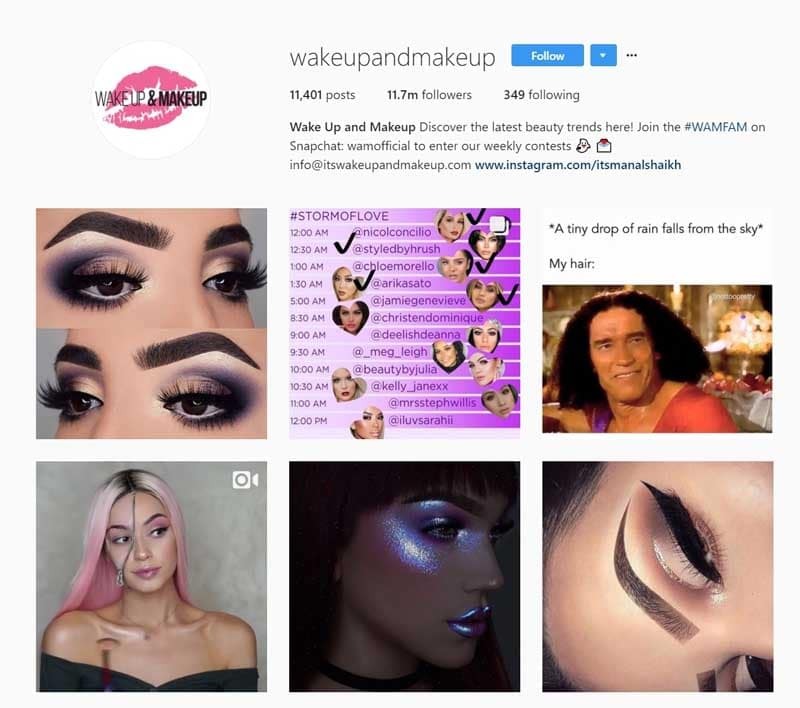 With her almost 9 million followers, millions of Youtube views, and collaborations with the likes of Maybelline, Too Faced, and celebrity influencers such as Kim Kardashian and Jessie J, among others, it’s no wonder this Dutch blogger is third on our list. Armed only with her mother’s digital camera, cardboard, and nothing much else, Nikkie’s first makeup tutorial in Youtube got just eight views and three comments. Fast forward almost ten years later, and the shy girl who was inspired by the makeup looks in America’s hit reality TV series The Hills has turned into one of Youtube’s millionaires. Despite online news site Fashionista referring to her as one of the more laidback types of beauty bloggers, Manal Shaikh’s online influence is anything but lackluster. At only 23, she was able to grow her three Instagram accounts’ follower counts organically by the millions—and she didn’t have to post tons of her own selfies to do so. Compared to the other beauty bloggers in this list, Manal did not put all her eggs in the beauty influencer golden basket. 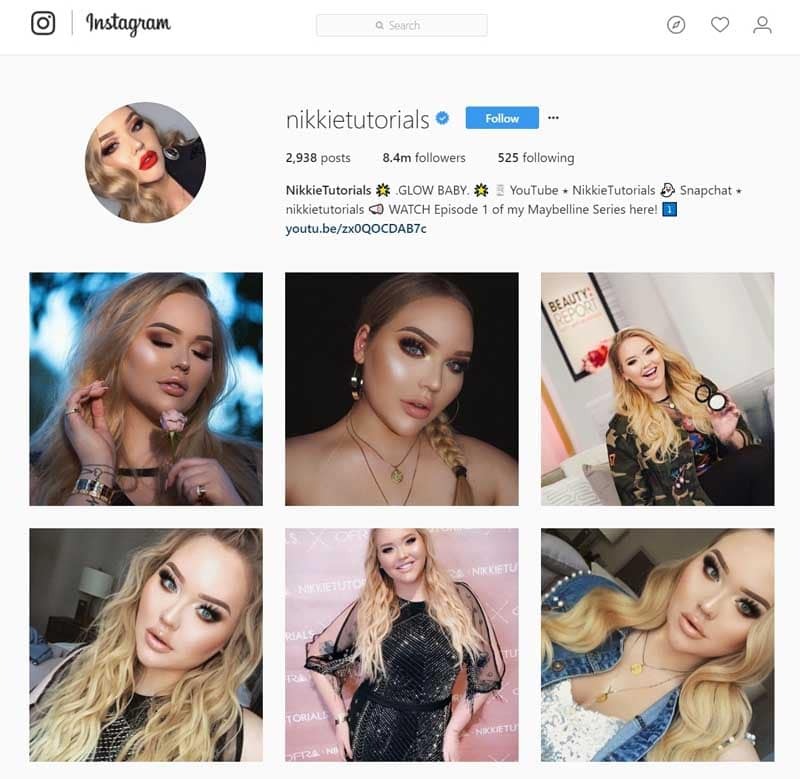 Despite her passion and skill for makeup and nail art, she refers to herself in her online accounts as a “Social Media Strategist” instead of beauty blogger or influencer—perhaps signaling that she does not intend to be a beauty personality, but more of a beauty curator and digital marketer. 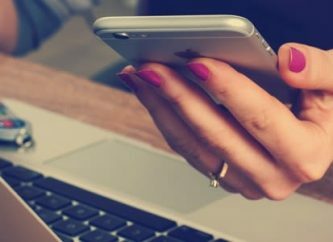 Whatever the case, the success of her accounts is pretty strong evidence to show how she absolutely nails social media marketing. I don’t know about you, but I believe this beauty blog craze all began with Michelle Phan. If landing on the covers of Forbes and Nylon, or getting featured by magazines the likes of W Magazine, CNBC, and The Daily Mail (among many others) doesn’t solidify her status as a mega beauty influencer, then I don’t know what does. 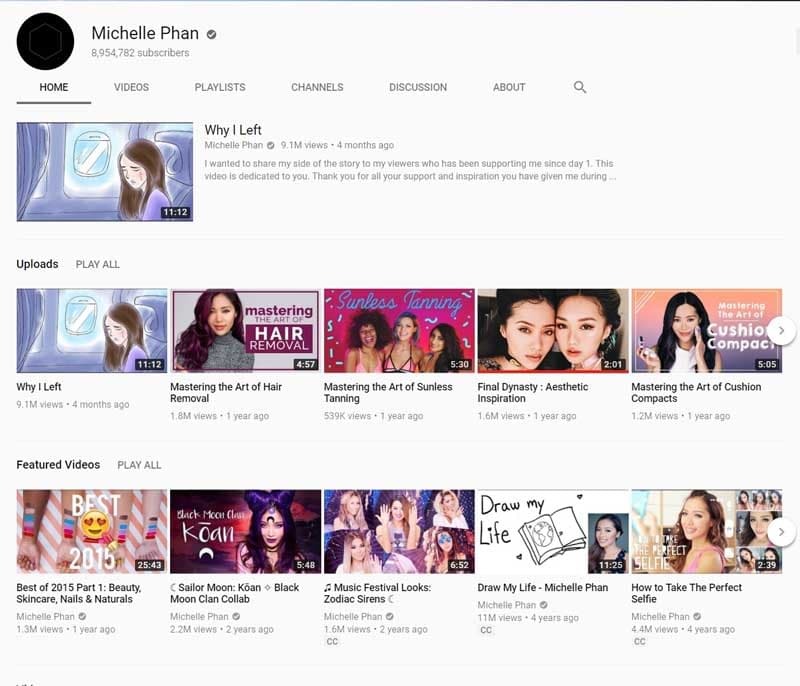 It's an understatement to say that the rise of Michelle Phan has rocked the beauty industry—and opened a Pandora’s box of possibilities for other beauty bloggers. Between 2007 and 2011, when the beauty blog pioneer was at her peak, she had almost 2 million subscribers. Her video channel had more than 500 million views. Meanwhile, a big brand like Lancôme only had over 4k subscribers and 5 million views. And if she hadn’t gone on a long hiatus when Em cosmetics, her makeup line collaboration with L'Oréal fell through, she would probably still be on the top of this list. Needless to say, Michelle has since recovered from her personal time out from the digital world. She has repurchased Em from L'Oréal and relaunched the line on her own. Just this year, she also launched her beauty sampling startup, Ipsy, which is currently valued at $500 million. In total, Michelle’s “empire” is estimated at $100 million. The one time MySpace pop star in the making (he outsold Justin Timberlake on iTunes) turned beauty blogger and semi-celebrity began his love affair with makeup at 13. With a model for a mother, it was bound to happen. 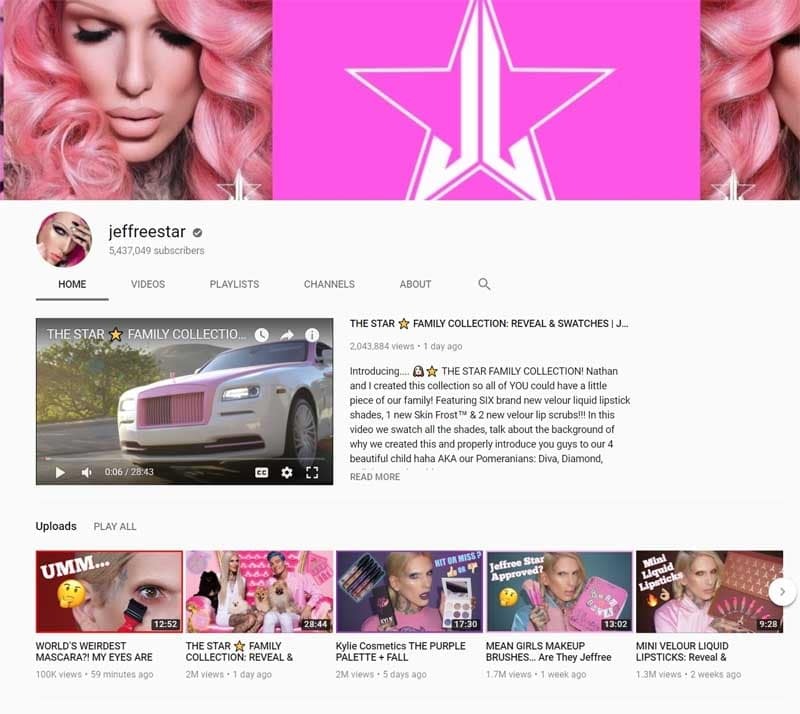 Jeffree recalled how he started by copying magazine ad looks and borrowing his mother’s makeup. Soon, he was traveling around the world, learning, teaching, and continuing to practice his craft. From fashion editorials to music videos, to weddings, he has done them all. Recently, Jeffree crossed another thing off his bucket list when he launched his own makeup line. He also toured and hobnobbed with celebrities—even modeled for jewelry designer Tarina Tarantino—bringing his makeup skills, striking personality, and merchandise along with him. As of 2017, Jeff’s net worth is valued at around $5 million. 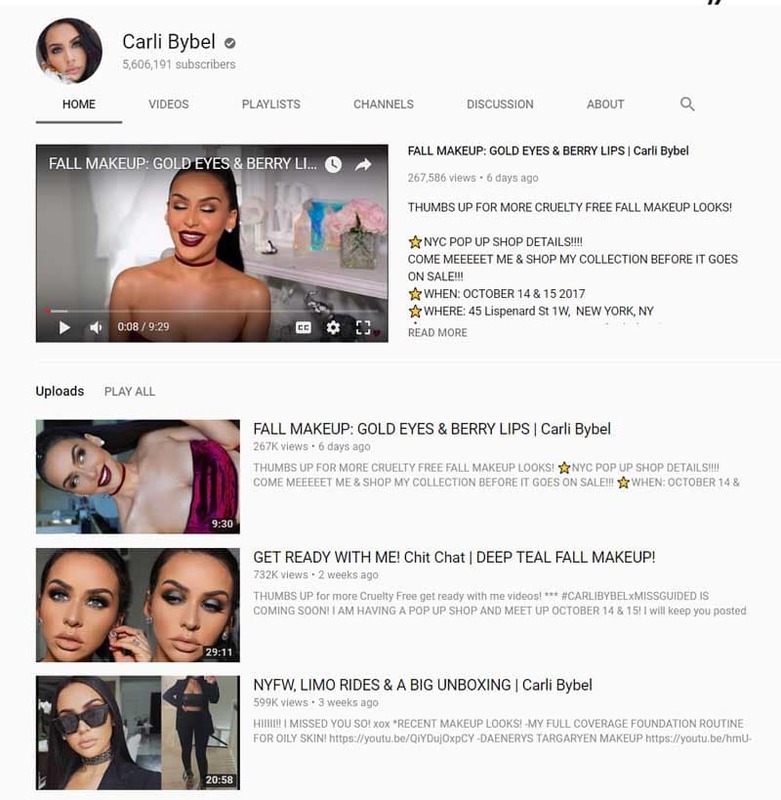 Carli Bybel posted her first Youtube video about hairstyling in 2011. If judged by the eyes of today’s Youtube natives who, by now, are used to sleeker productions, the quality is comparably amateur to laughable. The blogger admitted to having a chuckle of her own when she revisited this maiden project. As Carli has gamely shared in an interview with Fox5NY, even her mother was skeptical about her dream to become an internet star. These days, however, Carli is laughing all the way to the bank with monthly earnings of over $16k per month from her Youtube channel alone. And yes, production levels are now more on point. Seeing men wear makeup can be disconcerting to some, but that didn’t stop Manny Gutierrez from doing his thing—and owning it. And while he admits that about half the people who saw him wearing makeup would be weirded out, about another half would be appreciative. But perhaps the best display of this appreciation goes to Maybelline, for naming Manny as their first male ambassador. 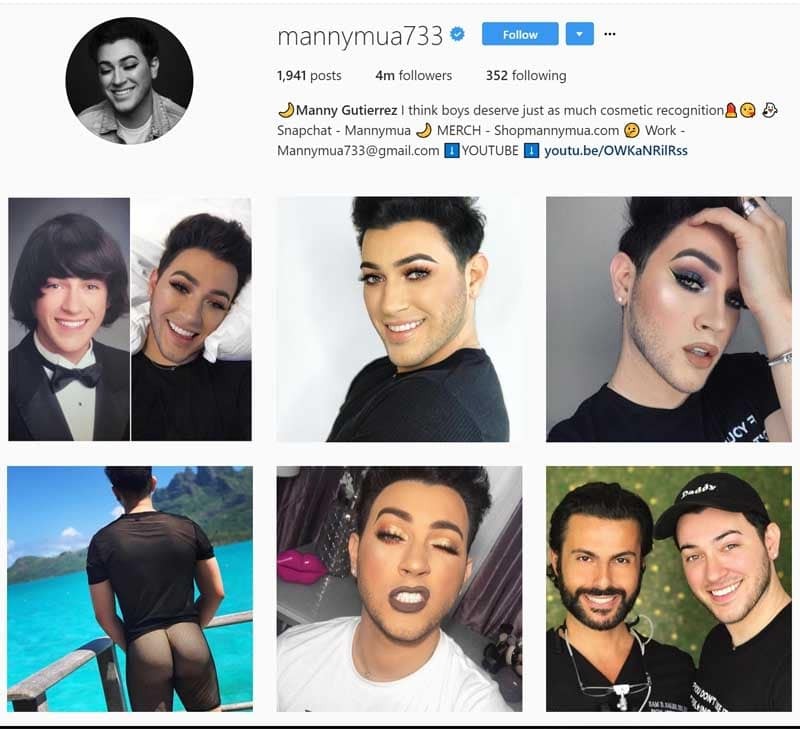 Manny, who believes makeup should be inspiring and inclusive, cultivates the same spirit with his followers—which could probably explain how he was able to grow his community so quickly, especially since he started getting into makeup late—already in his early 20s. But barely four years later, he’s gone so far, so fast—with an estimated net worth of $350k—a testament to this beauty influencer’s brand power. 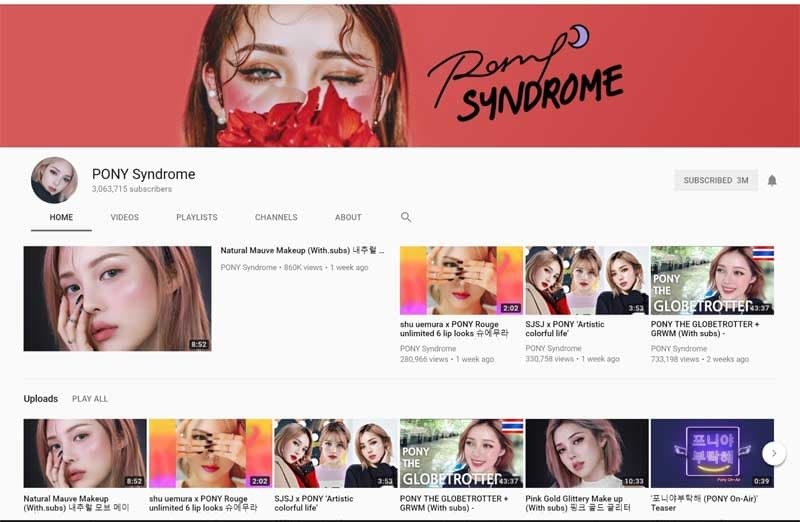 From graphic designer to South Korea’s top makeup influencer and K-pop star CL’s makeup artist, Hye-Min Park, or Pony, the owner of the beauty blog PONY, is one to watch. Before becoming a hit with an audience in the millions on her Youtube and Instagram, Pony used to model products for Korean e-commerce stores. She now has her own makeup line, PONY, which is doing exceptionally well and has recently partnered with beauty box subscription service, Memebox. She has published a book on beauty and was also featured in Allure and Harper’s Bazaar, all aside from gracing top beauty magazines in South Korea and the rest of Asia. Her dramatic makeup transformations into Jessica Rabbit, the Queen of Hearts, Edward Scissorhands, and other theatrical characters generated so much buzz that catapulted her to Youtube fame. 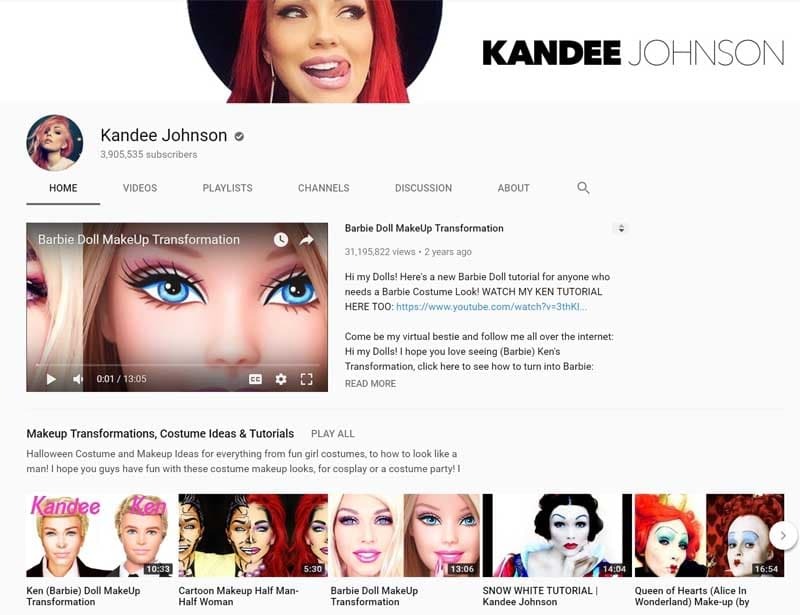 Kandee’s style was different—it was over-the-top and creative, separating her from other beauty bloggers whose tutorials featured more wearable looks geared for daily wear, fashion spreads, ads, or events. As a ‘70s baby, Kandee did not let her age stop her from working just as hard as her younger, more digitally native peers. This grit paid off, and the beauty blogger was eventually featured in beauty and fashion magazines Elle, Nylon, Glamour, Self, and Cosmopolitan as well as interviewed on TV shows like Good Morning America and E! among others. She also scored a makeup collaboration with Too Faced. To showcase her beauty skills, Brazilian blogger Maria Mari whips up her various makeup combos to turn her freckled face into a flawless canvas—perfect for making dramatic before-and-after makeup comparisons. Her tutorials mostly capitalize on showing the power of makeup coverage—how to layer on various products to hide perceived imperfections without looking cakey and unnatural. 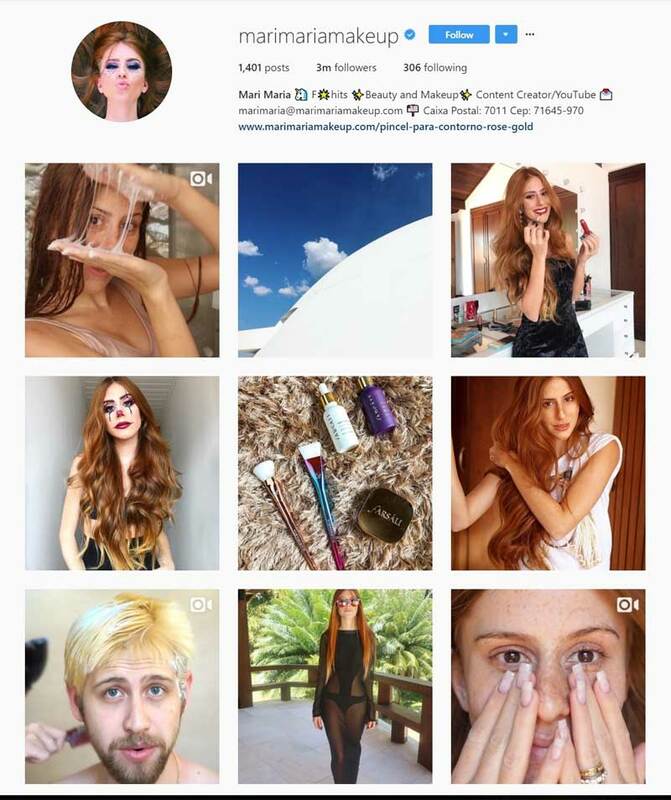 With her over 3 million social media followers, own beauty line MariMariaMakeup, and features with Seventeen and other Brazilian magazines, this beauty blogger is certainly going places. 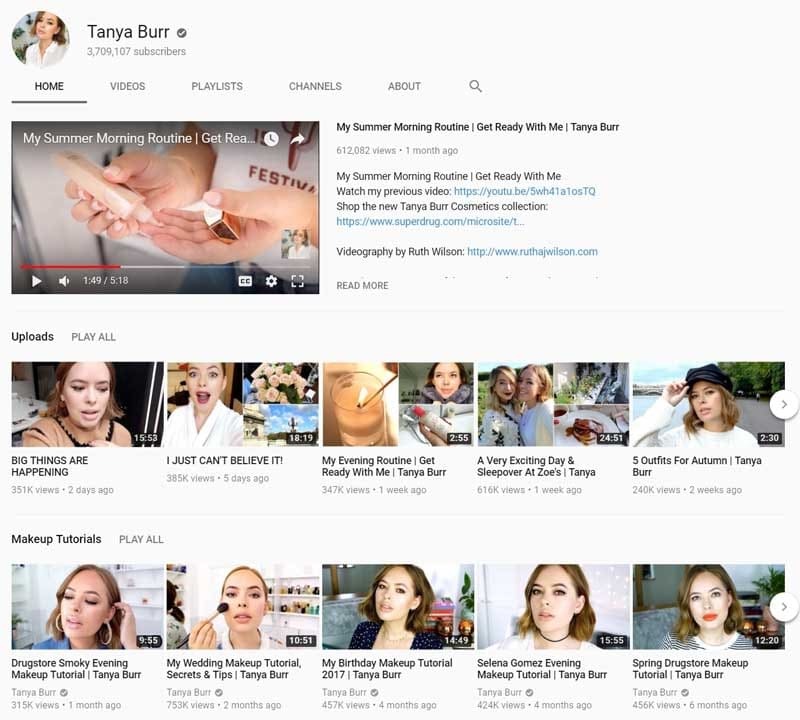 While obsessed with watching makeup tutorials, Shannon noticed something was missing from the space—there were almost no beauty bloggers from New Zealand. So she set up to fill this gap with her own beauty channel. Nearly a decade later, she is now known as one of the most influential and highest-earning beauty bloggers globally. 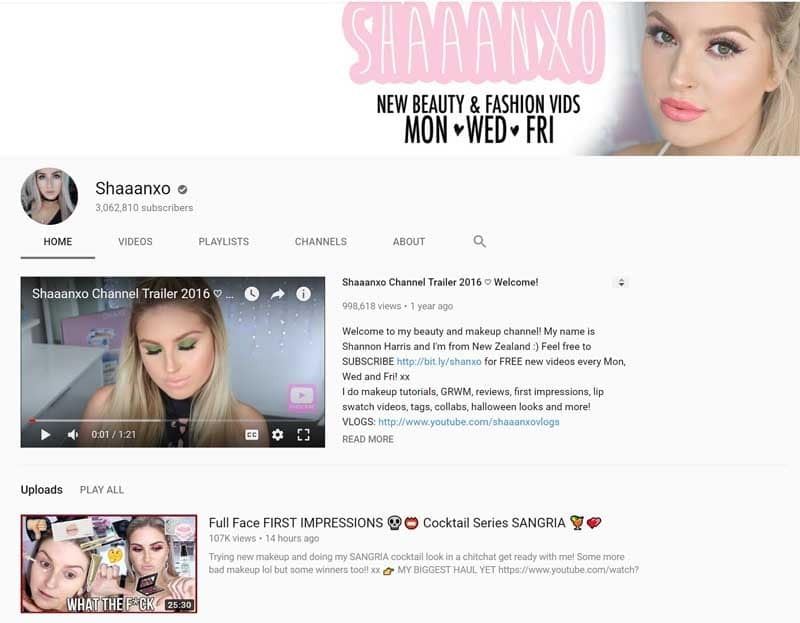 Shannon now has her own beauty line, xoBeauty, and is also in partnerships with beauty brands Clinique and Smashbox Cosmetics. The Kiwi blogger’s annual net earnings are estimated to be between $18k to $291k. When you’re one of Michelle Phan’s proteges, then you know you’ve already got the upper hand in the beauty blogging niche. But before this, Christen was already busy making waves on her own as a rising freelance makeup artist and Youtube star. Despite the hypercompetitive, seemingly nonstop volatility of the beauty blogging niche, Christen is an inspiring story to other aspirants. A young mother and student, she was still able to dedicate enough time to rise among Youtube’s beauty vlogger ranks, landing herself on Forbes top ten most influential and highest-earning beauty bloggers list. As a celebrity tattoo artist who co-starred on hit reality show LA Ink, Katherine von Drachenberg—or Kat Von D, starts her journey with a significant leg up. Aside from tattoos, Kat is also a self-confessed makeup junkie. So when Sephora approached her with a makeup collaboration, the rest, as they say, is history. These days, her makeup brand Kat Von D beauty has almost reached cult status with nearly 4 million Instagram followers and its unique brand of vintage rock-and-roll glam. 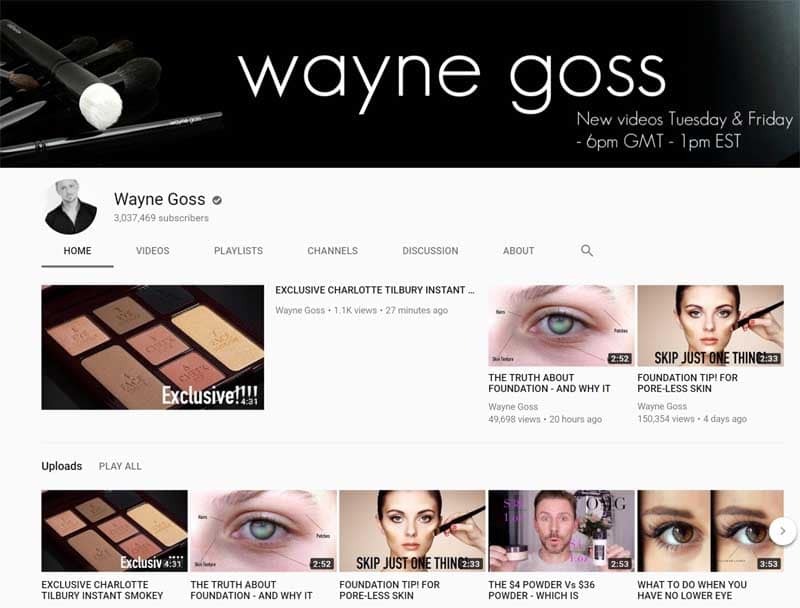 For audiences who want realistic, pragmatic beauty advice and hacks, Wayne Goss’s channel is an authoritative go-to. Keeping it real and practical is this self-taught makeup artist’s motto. He has over 15 years of professional experience, which gives his reviews and tutorials even more credibility. Indeed, even as drama in the beauty blogging community pitted influencer against influencer, Wayne stood out as one of the most level-headed in the bunch. Instead of being flamboyant, he emphasizes technique and keeping things as real and approachable as possible. This transparency resonated with his audience—now at 3 million and still growing. His style preference is classy, timeless, and no-nonsense, which is reflected in the projects he undertakes. In 2014, He partnered with cosmetics brand Charlotte Tilbury to make a look for Victoria Beckham’s cover shoot with Allure magazine. He also advocates for top-notch quality when it comes to tools and products that people should use, which led him to launch his own makeup brush collection on Beautylish. And indeed, nothing shows an audience’s message of “we trust you” better than when these got sold out within five minutes. British fashion and beauty blogger Tanya, who is also good friends with fellow Youtube beauty influencer Zoella, wraps up this list of beauty blog personalities. Before her rise to Youtube stardom, Tanya completed a short makeup artistry course and worked for a department store beauty counter. She now has over 3 million followers in each of her Instagram and Youtube accounts. With that sort of follower count, she was able to launch her own cosmetics line in partnership with Superdrug in 2014. Just the year after, she published her non-fiction beauty guide, Love. She was also featured in UK publications such as The Sun and Glamour magazine. 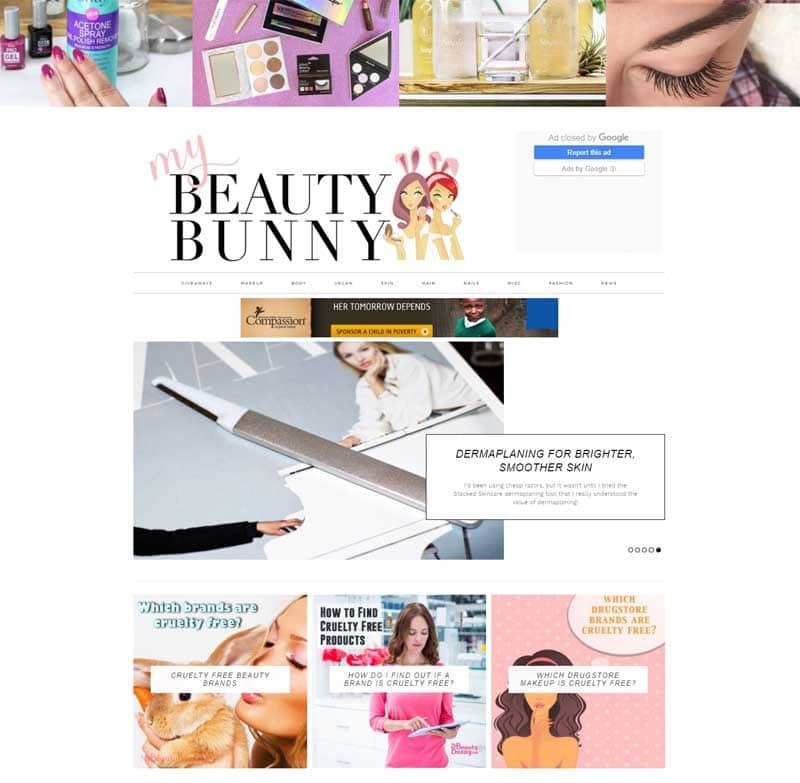 As a place where top bloggers write about tips on beauty, makeup, and skincare tricks, Refinery29 has grown into one of the most authoritative and popular sources for updates on the beauty industry and beauty bloggers community. Beauty tips, makeup tutorials, product reviews, and techniques from industry leaders worldwide. They also have excellent interviews with celebrities the likes of Jourdan Dunn, Victoria Beckham, and Val Garland. 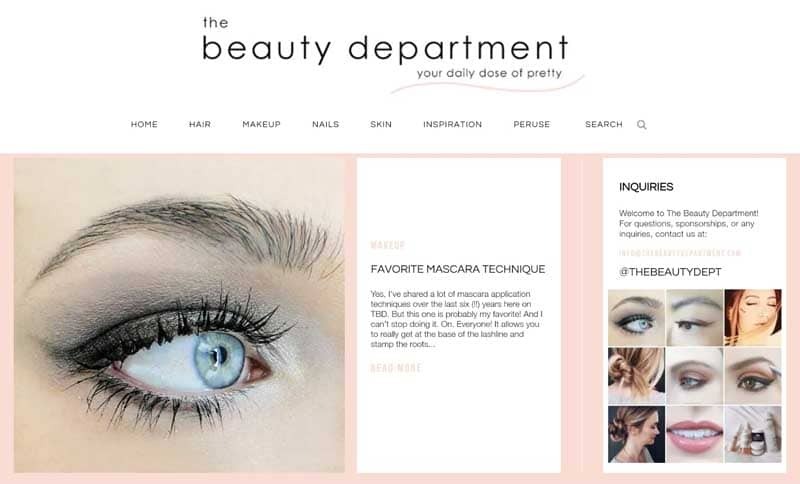 Beauty edutainment site featuring hair and makeup how-tos, nail trends, skincare, tools, current obsessions, and inspirations. It also features countless quick tips and tutorials from insiders Lauren Conrad, Kristin Ess, and Amy Nadine. 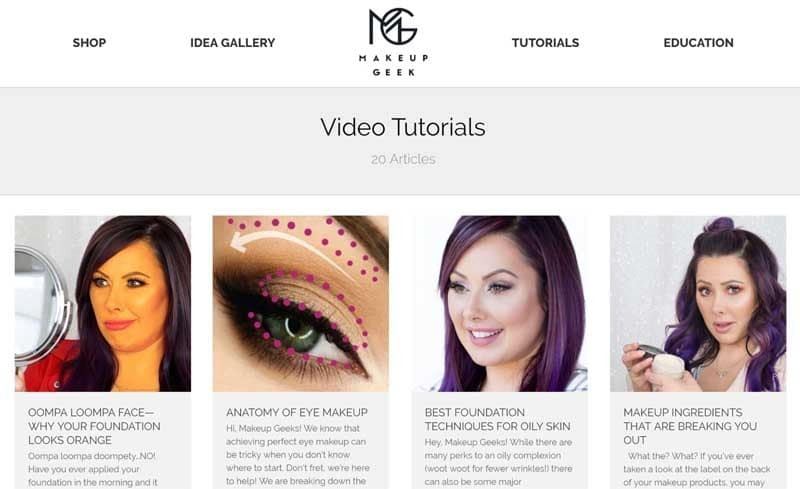 Only a few years ago, Forbes valued MakeupGeek at $10 million. What started as a tutorial site featuring “a variety of videos on almost every makeup technique,” had turned into a $1 million per month cash cow for owner and teacher-turned-businesswoman Marlena Stell when she turned her blog into a makeup business. 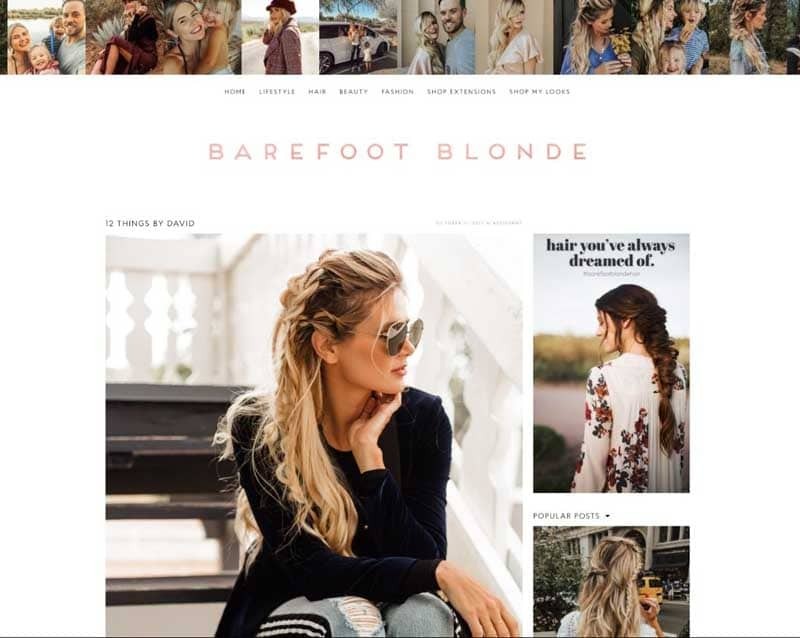 If you think a busy young mother can’t maintain a family, blog, business, and take gorgeous, magazine spread-worthy photos at the same time, then check out this beauty and lifestyle blog by Amber Fillerup Clark and be blown away. 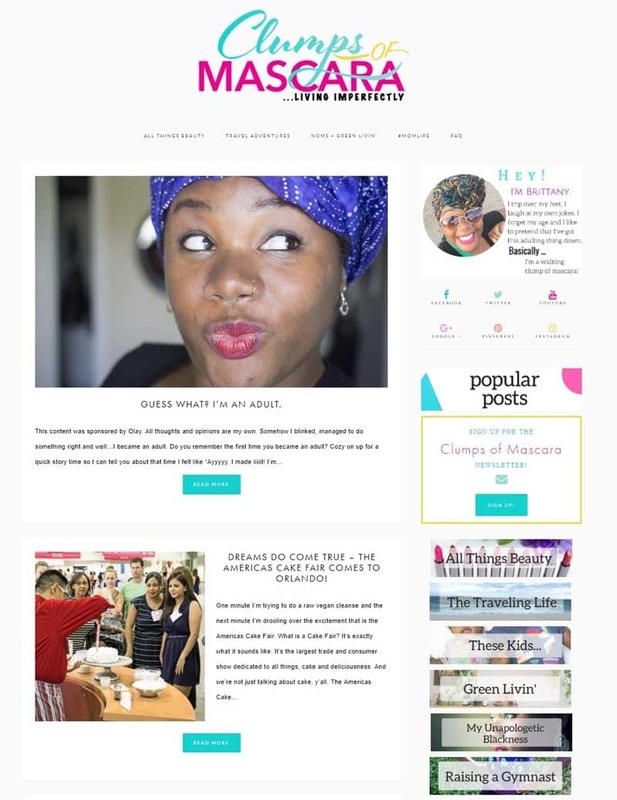 Despite its rather dated look and ad-heavy interface, Afrobella is an award-winning blog about natural hair, skincare, beauty, and lifestyle created by Patrice Grell Yursik to celebrate women of all shades. Afrobella covers everything from product reviews to celebrity, beauty and travel experiences. A beauty products review blog by beauty writer Jane Cunningham. A tip-driven website dedicated to beauty, fashion and lifestyle by Chriselle Lim. 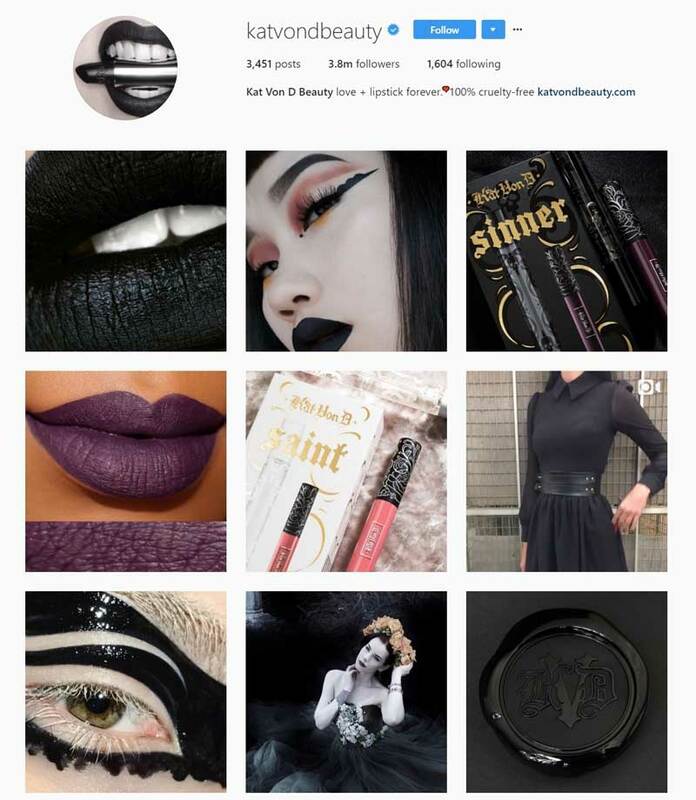 My Beauty Bunny is an award-winning, Los Angeles based top beauty blog about cruelty-free beauty products for men and women. 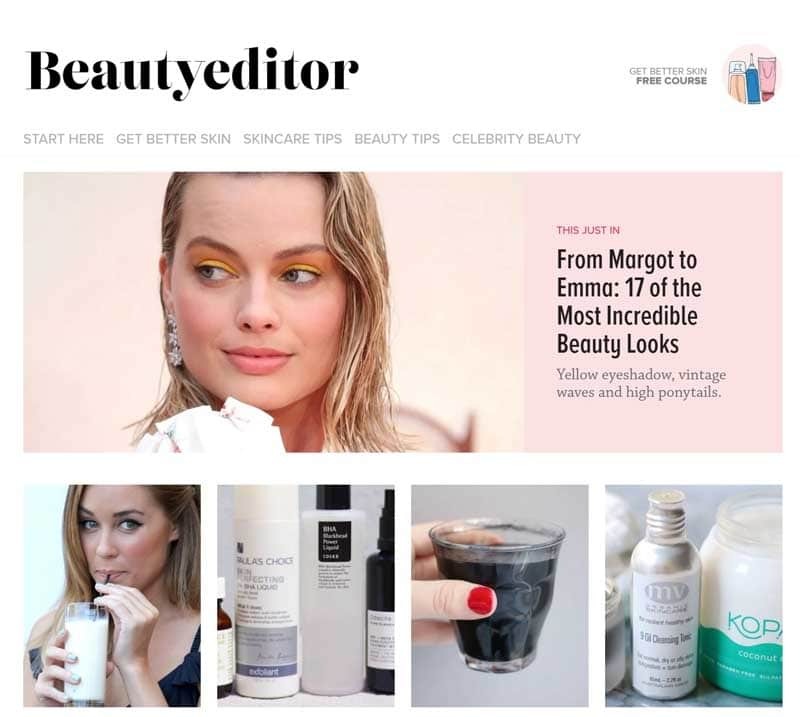 Beauty Editor is all about teaching readers about skin care and natural beauty appreciation with constantly updated free articles, guides, and product recommendations. Brittany Minor's lifestyle blog combines cosmetics, wholesome living, travel, and parenting. 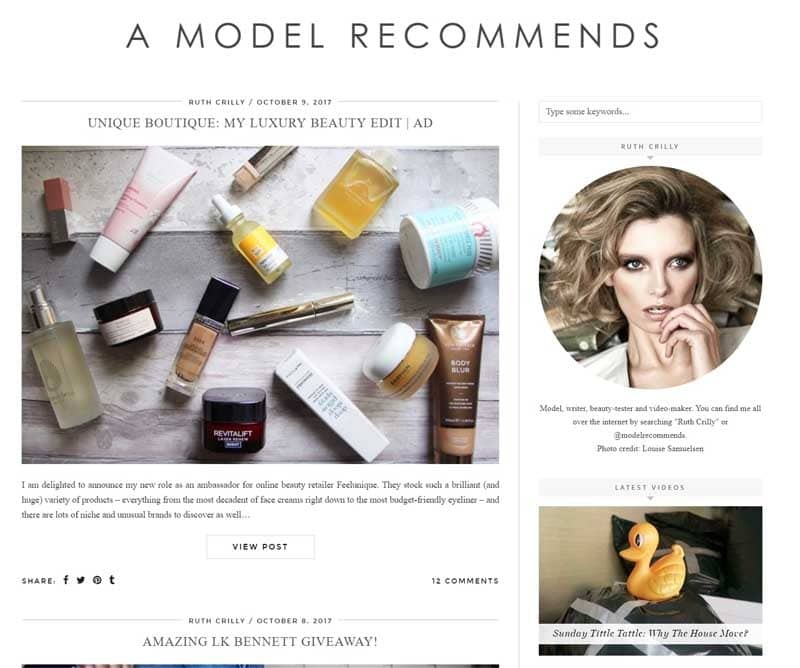 A beauty blog of beauty product reviews and recommendations from professional model Ruth Crilly whose day job naturally means she works on the daily with a variety of beauty products on her skin, so you better bet that she knows what she’s talking about. A beauty blog by makeup artist, photographer, and creative director Robin Black, this blog features high-quality pictures of models with fully made up faces. The makeup is professionally done, as can be expected, and each item used is labeled and linked properly. A blog about quick beauty tips, product reviews, and getting ready in a flash managed by Christine Mikesell, a doctor (pediatrician), mom, and beauty addict who shows how it can all be done. It’s impressive to look at how powerful beauty blogs and bloggers are at influencing consumer choices these days. Naturally, brands have adapted by partnering with these digital age influencers. 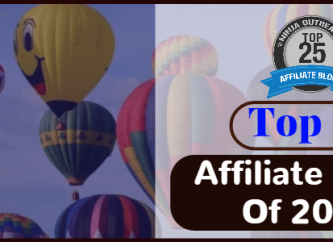 That way, these companies can maintain their visibility in the consumers’ minds by tapping into the vast and engaged audiences of these influencers. So, I hope my list provided you with a good starting point. If you think I missed anything, please leave your recommendations (and reasons for recommending) in the comments section, and I just may expand this list!